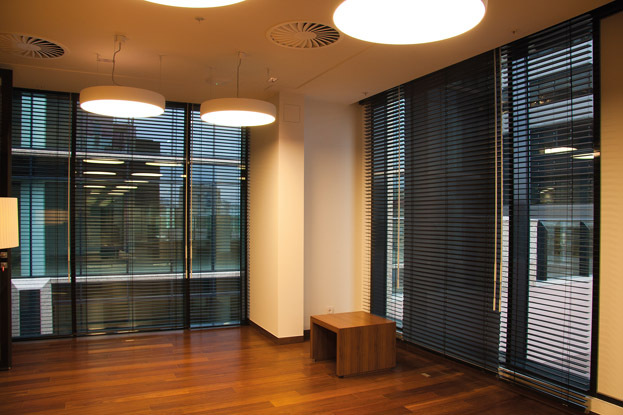 White Gardens is a Class A Office Center in Moscow developed by AIG Lincoln company. Its total rentable area is approximately 63,300 m2 including 960 parking spaces on five underground levels. 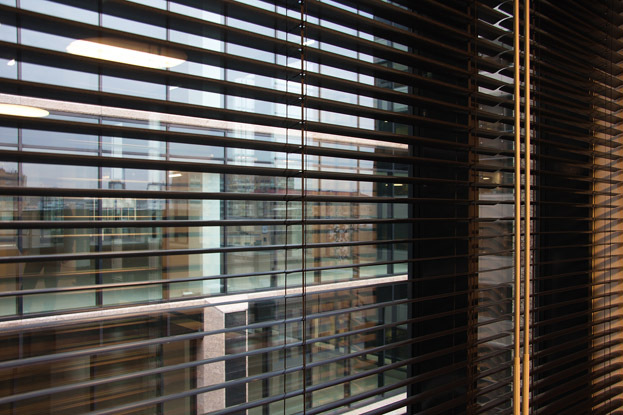 The floor-to-ceiling glass façade of the finished offices was covered with the Hunter Douglas Venetian blinds. Environmental conservation has been a guiding priority throughout every stage of White Gardens’ development. White Gardens is in the process of being certified by BREEAM, from which it is expected to receive a ‘Very Good’ rating. 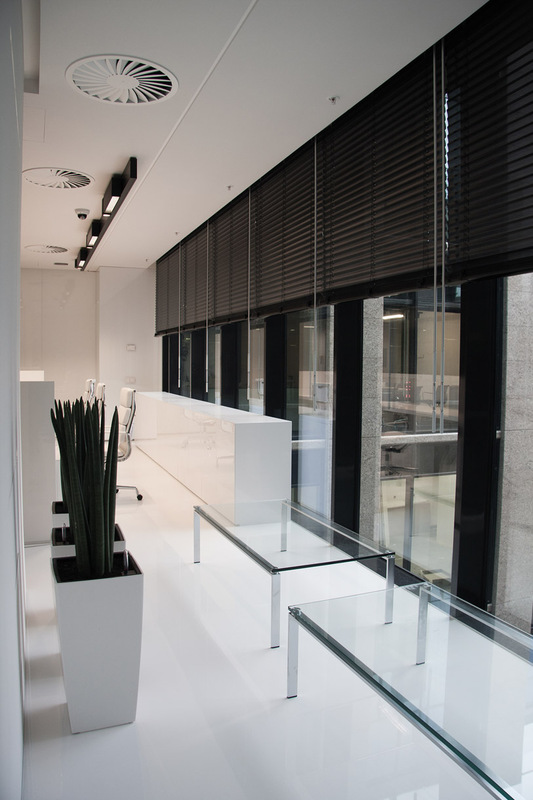 One of the finished offices is of Baring Vostok Capital Partners headquarter, designed by Pavel Polikarpov Architects Ltd. a Laconic interior with glass conference rooms, decorated with HunterDouglas® Roller Blinds, contrasting light walls and black HunterDouglas® Venetian Blinds. 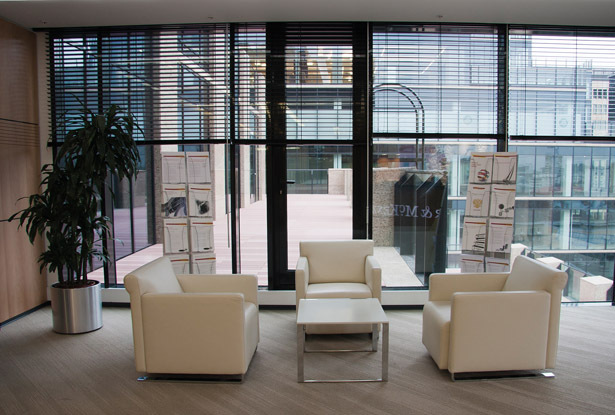 Marble decorative elements reflects the principles and position of the company, the oldest and the largest group of companies focusing on direct investments in Russia. 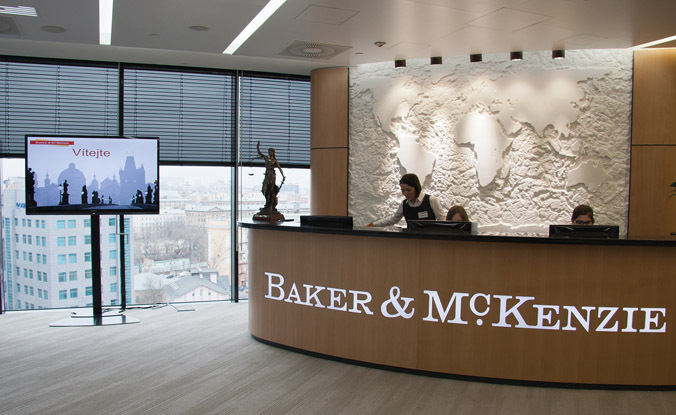 The other office is of Baker & Mc.Kenzie, designed by Sergey Estrin Architectural Studio. 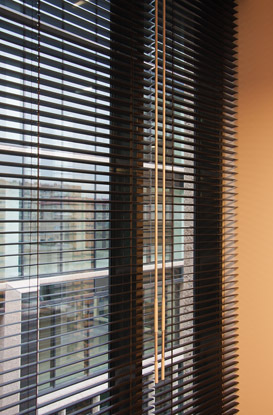 Restrained and designed in light colours with wooded details, the black HunterDouglas® Venetian Blinds perfectly fit the environment for the global law company, located on three floors of the White gardens business center.